Great to see Todd Terje blowing up big time with his infectious ‘Inspector Norse’ single, a definite candidate for best new dance track of the year, it’s simple complexity the mark of somebody who very much knows what they’re doing, someone with an understanding of both feel and precision who strikes the right balance between head and heart. I suppose that by being a feelgood DJ with a sharp sense of irony, as well as having been a student of physics at Oslo University, Terje was bound to have his own unique angle, which, when applied to making music was sure to produce intriguing results. 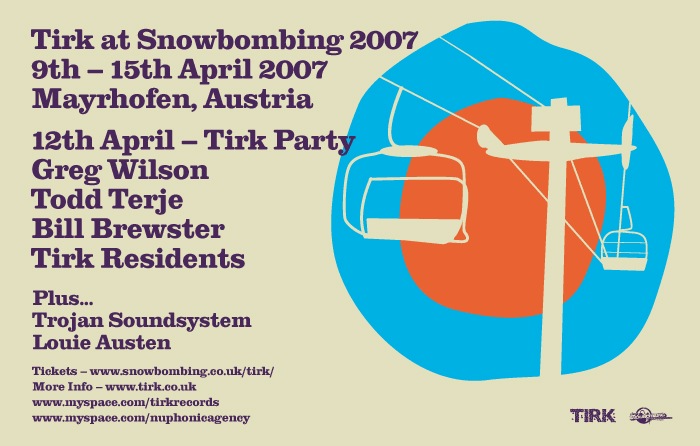 As the junior member of a Norwegian Disco trinity (Lindstrøm and Prins Thomas being the others), Terje emerged in mid-’00s as one of the leading lights of the re-edits movement – his aliases including Tangoterje and Wade Nichols. His re-work of Michael Jackson’s ‘I Can’t Help It’ (http://youtu.be/Zk0ClOGHoXc) and his now classic edit of Chic’s ‘I Want Your Love’ (http://youtu.be/KQLnGdL6ab8) were particularly well received and would be largely responsible for him acquiring, initially via the internet, a strong underground following globally throughout the coming years (I’m a big fan of his work – both his Chic edit and his deft extension of Stevie Wonder’s ‘Superstition’ would feature in my Essential Mix for Radio 1 in 2009). He would also give us a taste of what was to come, releasing his own original material, including his debut single ‘Eurodans’, which quickly became a ‘Nu-Disco’ favourite. But no sooner had he started putting out his own stuff than he stopped, with no new recordings issued for over 5 years. I first met Terje in May 2005, when he played at Aficionado, home of the inimitable Manchester selectors Moonboots and Jason Boardman. It was no surprise that they’d booked him, his Balearic sensibilities perfectly suited to their heterogeneous vibe. Terje was self-assured, with a real sense of fun, which, when added to his obvious musicality, was clearly a winning combination. We’ve since crossed paths in various parts of the world, including Ibiza, Croatia, Austria and, most recently, the US, at Detroit’s Movement Festival last May. This was 7 years on from when I first saw Terje DJ, and although I’ve always rated him highly, watching him that day in Detroit it was clear that the Disco boy wonder has really come of age, maturing, for my money, into one of the great DJs of the modern era. With ‘Inspector Norse’ captivating the Ibiza crowd this summer, Terje’s appeal is about to significantly swell – the days of being concealed in the Nu-Disco undergrowth, a name only those in the know would know, are well behind him. Apart from sharing the billing at the vanguard of the whole re-edit thing, we’ve had the same UK agent for a number of years, Matt Johnson from The Pool (formerly Nuphonic), so there’s always been a level of camaraderie between us. I knew he was working on some new music, and I had no doubt he’d come up with the goods. This has now come to fruition, firstly via last year’s ‘Ragysh’, a big underground favourite, and now he’s upped the ante with his ‘It’s The Arps’ EP, on which ‘Inspector Norse’ looms large. Oh, and to clear something up, his first name (his real name is Terje Olsen) becomes his last name when he DJs, Todd Terje being a tongue in cheek reference to House legend, Todd Terry. In Norway the j is pronounced differently, so Terje sounds like Terry-a. Get it? 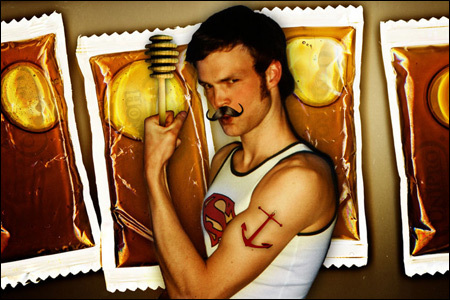 Having said that, he’ll forever be known as Todd Terje (sounding like Turge), so the majority of people who dance to his music may never be in on the gag. Great read, Greg. I always wondered about the Terje / Terry connection, figured it was too close to be coincidence, but chalked it up to him being from Norway. Now the truth is known! Ha! Thanks for sharing. Anyone who hasn’t found themselves bopping around to his mix that includes Boonanonos by Boney M is lucky in that they’ve yet to experience the uptempo joy of his ironic sense of dancing fun. go find it……. Lovely read Greg. Nice story about Terje’s name, I did wonder if there was a Todd Terry link in there somewhere. I love Chic and the Terje edit is fantastic. Go Terje! The Chic edit is great. I love the way that he fuses the Moodyman bit into the original. Another favourite is his rework of Paul Simon’s Diamonds. I’ve really enjoyed hearing that one in you sets Greg.